Lesnar and Seth Rollins took on each other early at WrestleMania 35 at MetLife Stadium. 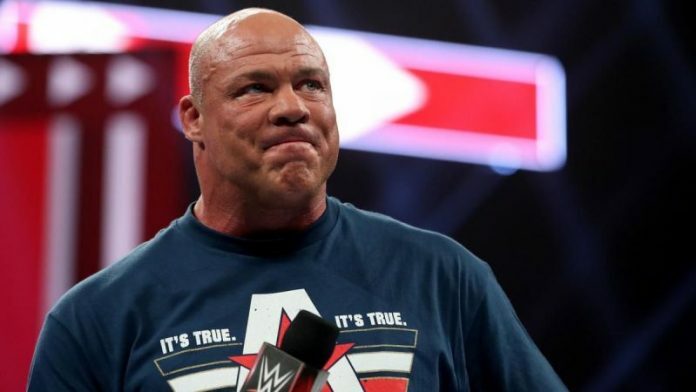 Prior to the championship bout, Lesnar's advocate, Paul Heyman, announced that his client wanted to open the show and gets things over with ASAP so he could fly to Las Vegas, "where he is ultimately appreciated". With a short match lasting a matter of minutes, Rollins managed to best Lesnar after hitting a low blow. Three curb stomps later saw Rollins pin his opponent and win the WWE Universal titie. Check out the finish of the match below. Lesnar is a former UFC heavyweight champion, who is now under contract with WWE and UFC. He posted the following on twitter moments after Rollins' victory, "Ha, Brock got beat up". Rollins' road to WrestleMania 35 went through winning the men's Royal Rumble match in January. Now that Lesnar's role in the WWE universe has lessened, he'll have much more time to gear up for a title fight with the UFC heavyweight champ. He is also a one-time United States Champion, a one-time Intercontinental Champion, a one-time WWE Tag Team Champion (with Rollins), the 2015 Royal Rumble victor, and the 2014 Superstar of the Year. Seth Rollins leaves with his newly won Universal title. Jones, who is Cormier's fiercest rival, has said that he would rather face Lesnar than Cormier for a third time. After a dominant first run, he then forged a career in UFC, which was cut short by illness, before returning to WWE in 2012.